"If one advances confidently in the direction of one's dreams and endeavors to live the life he has imagined, he will meet with success unexpected in the common hours." Let me help you focus your goals, sharpen your job search campaign and develop your total communication package. Armed with an effective resume, letters, a 2-minute pitch,and follow up strategies you will be better prepared to land your dream job. Contact Ruth today to start writing your own Success Story! Hello, I'm Ruth Robbins! I can help you explore new career directions, mobilize your job search, fine tune your interview skills and enhance your performance when newly hired on the job. My clients have included corporate and private clients on job search and on the job effectiveness programs. As a Certified Career Coach with the Five O'Clock Club for more than 15 years I have worked with hundreds of individuals advance their careers. A recent article I contributed to their site would be of special interest to parents of recent college grads, but applies to nearly everyone these days. Appeared on CBS TV news with Cindy Hsu on segment entitled, "How to Rebound from Losing a Job"
Contact me today to start writing your own Success Story! "...you helped me turn a job layoff into a multilayered, affirming career opportunity." "You Rock! ...Y'know, you really put heart into your work, and I can't tell you how much that is appreciated." "I really credit you and the five o'clock club with reviving what I knew I had within me: the ability to network and to make strong interview presentations… After such a long dry spell, my successes happened quickly." "Again, I can't thank you enough for being such an amazing support system and believing in me. When things feel at their lowest, it made such a difference to have you in my corner. I am glad you came in to my life and look forward to staying in touch!" 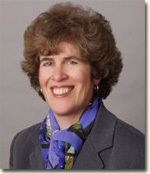 "I particularly want to commend Ruth Robbins to you for the excellent counseling she gave me throughout my job search. Ruth was deeply knowledgeable, steadfast, and supportive. I think she's invaluable as a career counselor and as a promoter of the 5OCC philosophy." "Coaching smart and from the heart"
Are you stuck in your work, life or career? Are you wondering how to move forward? Do you think you could get there if you only knew where you were going? I support you through transition to help you take your next steps and meet your goals!